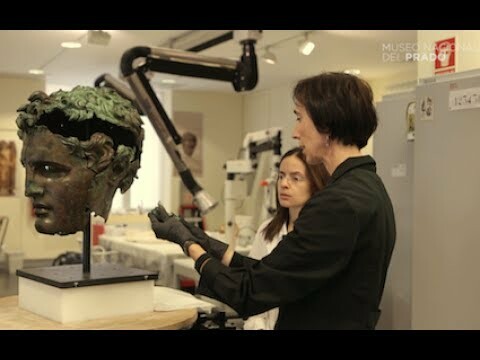 The Museo del Prado, with the collaboration of Fundación Iberdrola España, a Benefactor of the Museum’s Restoration Programme, has restored the monumental bronze head from its permanent collection and has identified the subject as Demetrius I, a Hellenistic general and king. 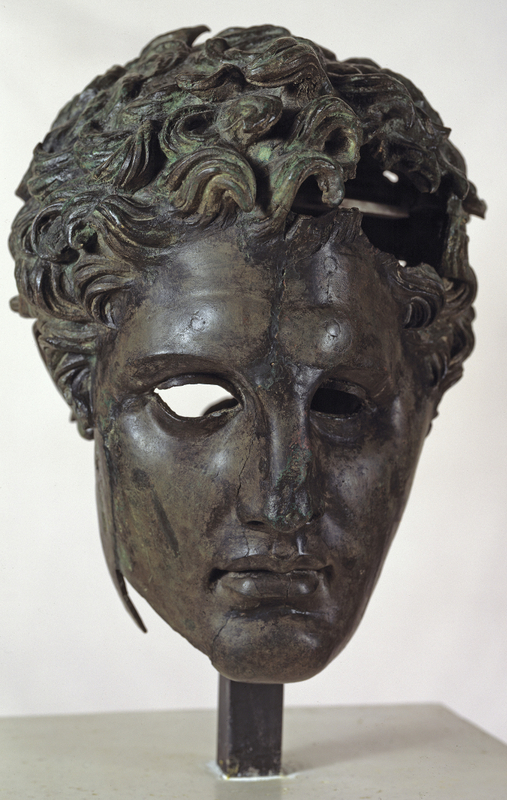 The sculpture is one of only a very few known surviving Hellenistic bronzes, dating from around 307 BC and an exceptional example due to its size and quality. It is now on display for the first time since its recent restoration. 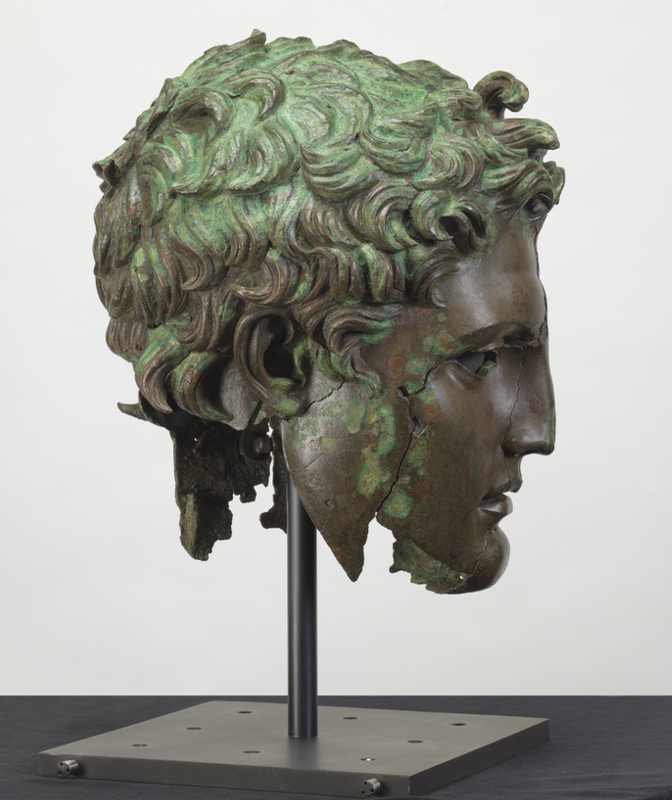 This monumental bronze head is one of the few surviving Hellenistic portraits of this size and quality to have survived. The exact place of its discovery is now unknown. It measures 45 cm high and would probably have belonged to a monumental statue of approximately 3.5 metres high. The most comparable surviving work, the Hellenistic Prince (Museo Nazionale Romano), was created around 150 years later and is more than a metre smaller. The high quality of the Prado’s bronze is particularly evident in the masterly manner of creating the hair, with thick, curly locks distributed in a lively manner over the head, and in the mastery of the casting based on the lost wax process. This technique was used in Greek sculpture to cast small elements such as the head, torso, arms and legs which were then assembled to create a large-scale sculpture. The head arrived in Spain in 1725 from the collection of Queen Christina of Sweden, its first known owner. It was sent to the palace of La Granja de San Ildefonso as part of the collection of Philip V and Isabella Farnese and entered the collection of the Museo del Prado around 1830. Recent research has identified the subject as the Hellenistic king and general Demetrius I, known as “Poliorcetes” due to his renown in besieging enemy cities (ca. 336 – 283 BC). Together with his father, the Diadoch Antigonus I, Demetrius was the first successor to Alexander the Great (356 – 323 BC). Prior to restoration the physical state of the head of Demetrius Poliorcetes revealed its long and eventful history over the centuries as well as the signs of numerous previous restorations. In order to preserve it in the past the original surface of the work had been covered with layers of adhesives, polishes and paint. Technical studies undertaken prior to embarking on the head’s restoration revealed important information on the casting process and on the history of this portrait. They also indicated problems of stability of both the metal in itself and the structure, information essential for establishing the aims of the restoration process and the most appropriate treatments to be employed. The key aims of this project have been to recover the sculpture’s original surface and colour in order to make it more visually legible; stabilize and protect the materials of which it is made, particularly the bronze; and reinforce the internal structure in order to avoid structural tensions such as the ones that produced the cracks, through the design of a stable and resistant support that does not cover areas of the original surface. 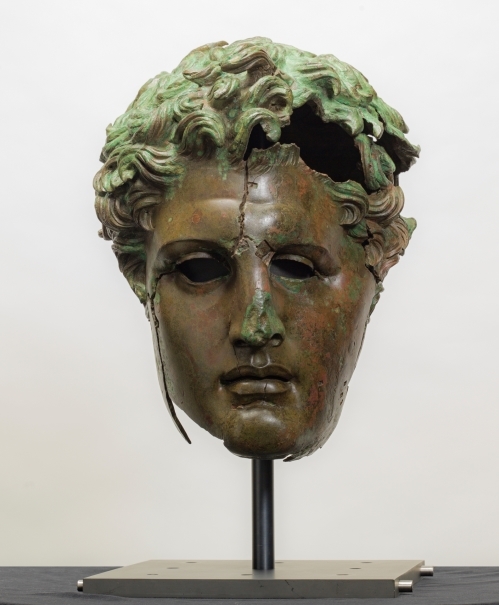 The restoration process consisted of removing the resins, adhesives, protective layers and polishes applied to the surface of the bronze in the past; the correct repositioning of various fragments that had been incorrectly reattached; and the design of new and reversible supports in specific areas. Following the work’s restoration and in order to ensure its future conservation a special support was designed, lined with buffering material and functioning to distribute the sculpture’s weight across it, thus avoiding pressure points where the work rests on it. In addition, a platform was designed with concealed handles that can be pulled out and used to move the sculpture in a safe manner without any need to touch it directly. Identifying the work’s subject was a complex undertaking as it has no distinctive attributes or features that clearly correspond to those of a portrait. The head’s ambiguous typology varies depending on whether it is seen from the front or in profile. The frontal view corresponds to the ideal typology found in Greek art for depictions of gods and heroes, such as those created by the Greek sculptor Scopas around 340 BC. In contrast, profile views of the head reveal features characteristic of a portrait; a bulging, muscular forehead, relatively sunken eyes, an oblong face and a slightly open mouth. Alexander the Great, who was represented as a god and a hero, was the first to employ this type of portrait, which was subsequently imitated by the generals known as the Diadochi who succeeded him. A marble portrait found with other portraits of Hellenistic rulers in the Villa of the Papyri in Herculaneum and which has been interpreted as a portrait of Demetrius Poliorcetes, has the same type of monumental head as the Prado example, with a similar hairstyle and the same features, also found in another marble portrait in Copenhagen. Following the death of Alexander in 323 BC, the diadem, a band tied round the brow to signify absolute power over Asia, became the most important emblem of the Hellenistic kings. This diadem, however, is not to be found on the present portrait of Demetrius Poliorcetes or on other similar ones. In the present day this absence complicates any identification of portraits of the Diadochi. It is possible that after the death of Alexander none of them dared to have themselves depicted in a way that resembled him. In 307 BC, Antigonus I and his son Demetrius I, the latter aged around 30, were proclaimed kings by the Athenians, but according to the Greek writer Plutarch both avoided using the name of king as it was the only royal attribute exclusively reserved for descendants of Philip and Alexander. A year later, in 306 BC, when Demetrius Poliorcetes defeated the fleet of the Diadoch Ptolemy (367 – 283 BC) off Cyprus, the assembly of the army in Macedonia declared Antigonus I and his son Demetrius kings of Asia and sent them the diadem as successors of Alexander. In that case, the absence of a diadem on the present work suggests that the Prado bronze was created prior to that event, in 307 BC, when Demetrius Poliorcetes and his father Antigonus I were kings of Athens.